A legend has retired from Disney. Even if you don't know his name, John Musker surely had a hand in making some of your favorite classic Disney movies. He co-directed Aladdin, The Little Mermaid and, more recently, Moana, among other notable works for the Mouse House. However, after more than 40 years with the company, he's decided to retire. But he's arguably going out on top, at least as far as his work with Disney is concerned. News of John Musker's retirement from Disney spread on social media following a party that was thrown in his honor. Many of those who attended the paryt, that also worked with him over the years, took to social media to share their thoughts on the man who is undoubtedly a big part of Disney history. Hyrum Osmond, who worked with Musker on Moana, had this to say on Twitter. "Wishing a very happy retirement to my friend and mentor John Musker, the guy who's work inspired me to become an animator. I consider myself blessed to have had the opportunity to learn from this great man. All the best to you! 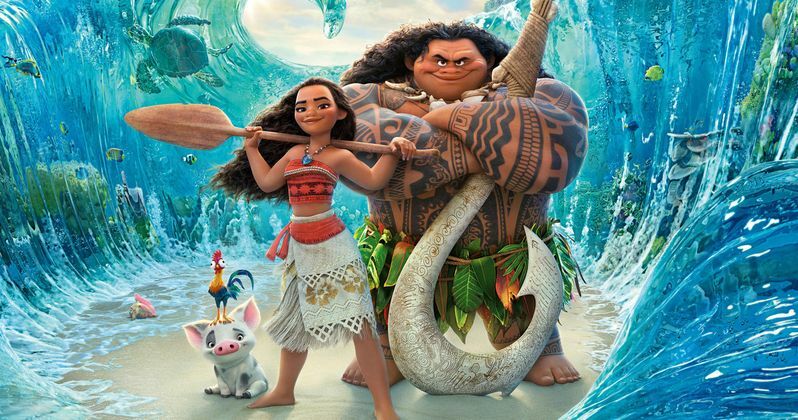 #disney #disneyanimation #animation #moana"
John Musker got his start at Disney in 1977 and, during his tenure, he co-directed and co-wrote seven of the studio's movies. His first feature as a co-director came in the form of 1986's The Great Mouse Detective, but it was 1989's The Little Mermaid that really cemented him as a powerful storyteller in the world of animation. He had a pretty incredible run, following up The Little Mermaid with 1992's Aladdin and 1997's Hercules. Mulan director Tony Bancroft had this to say about Musker on Twitter. "Animation ain't never had a friend like...John Musker! #Aladdin and #Moana director retires from #disney today. #greatparty #hesnotdoneyet"
The work John Musker did with Disney is largely tied to his directing partner, Ron Clements, whom he worked with an all seven of his feature directorial projects. After Hercules, Musker and Clements moved on to Treasure Planet, which is pretty infamous within Disney's catalog. The movie was a tremendous flop at the box office, having cost $140 million to make and bringing in just $109 million worldwide. However, the movie has a special place in the hearts of many fans. Both of John Musker's most recent efforts are significant. The Princess and the Frog is notable for introducing Tiana, the first ever black Disney Princess, who led the movie. Moana, his final feature effort for Disney, also is noteworthy for its diversity, but also for its success. Moana, with the help of Dwayne Johnson, grossed $643 million worldwide and was nominated for Best Animated Feature at the Academy Awards. You can check out some of the social media tributes to John Musker's time at Disney for yourself below. This news comes to us courtesy of Cartoon Brew.